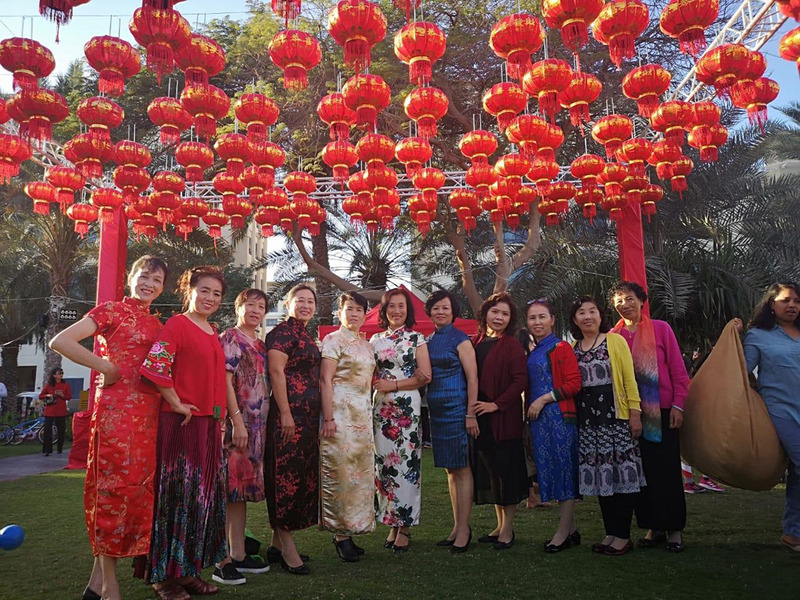 Residents of the Emirates Living Community in Dubai rang in the Chinese New Year yesterday with colour and ardour. 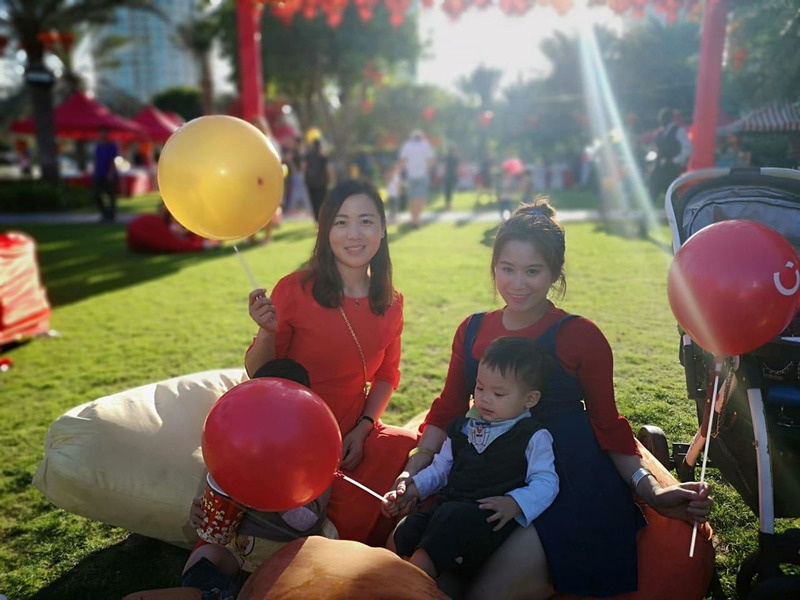 Chinese expats living in The Greens turned the community into a sea of red as they welcomed the new lunar calendar in true festive style with family and friends. 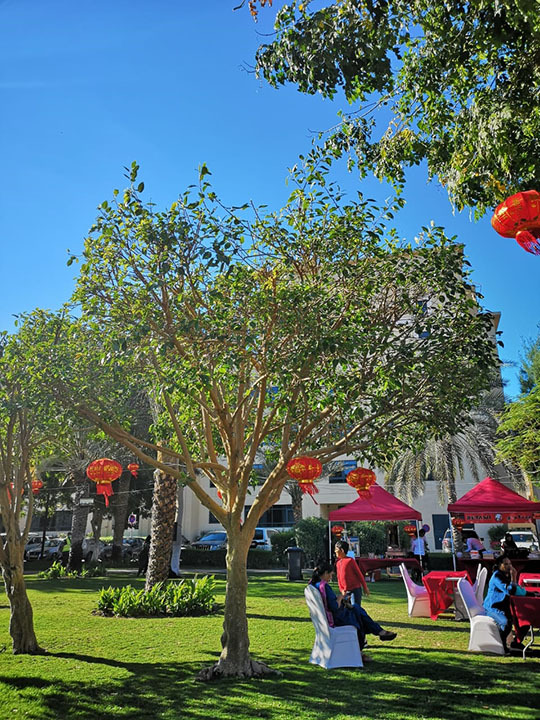 They (the residents) celebrated the New Year – The Year of Earth Pig - in the central park located on street 3 of The Greens area close to Tecom. 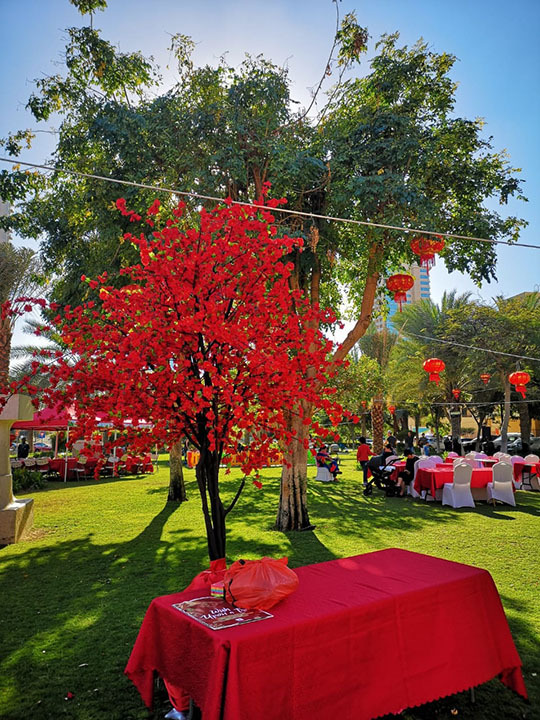 The park was set up with an entertainment stage, tables, chairs, tents, lanterns – all dressed in red, a colour said to symbolise good fortune and joy for the Chinese New Year. Children and adults also wore red outfits to mark the occasion. They (the community residents) enjoyed the day with a community lunch at the park. “This is our 4716th Chinese year. According to the Chinese horoscope calendar, 2019 is the Female Earth Pig year. Brown is connected to the earth. Therefore, the year 2019 is also called year of the Brown Pig,” Louisa Lu, a Greens resident told Gulf News. One of the important traditions on New Year's Eve is cleaning the house. “It's a time to discard bad energies. 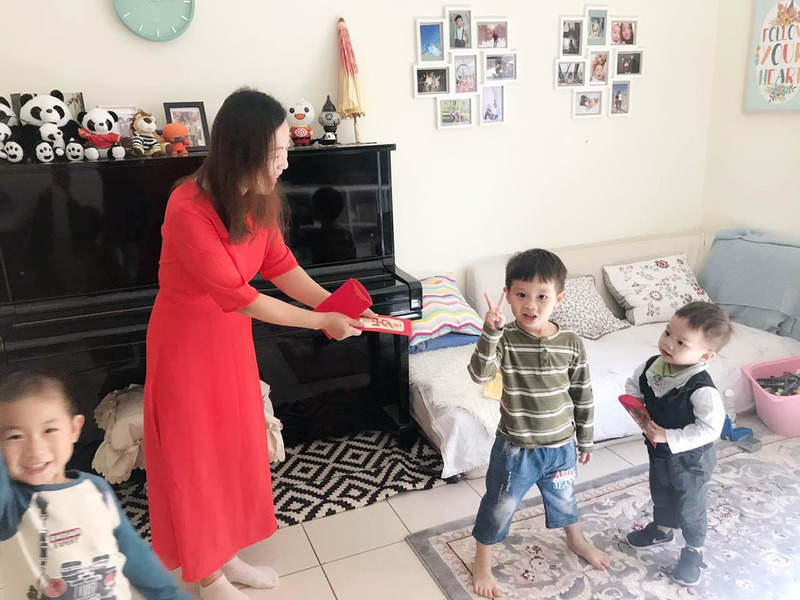 By sweeping off the dust accumulated in the house, we are removing any ill luck and making way for positive energies to enter the house,” she said. Luca Lyu, another Chinese expat explained that during New Year, windows and doors of the house are decorated with red paper-cuts and couplets on popular themes — to welcome good fortune, happiness, wealth and longevity. 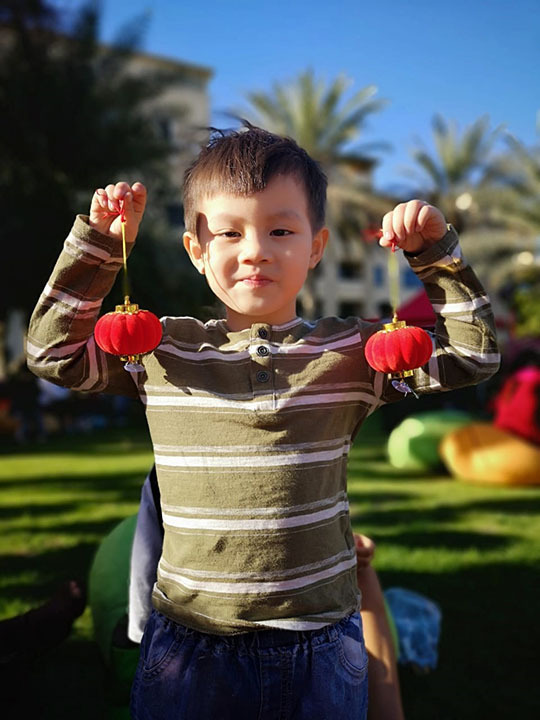 “Children also learn to make red paper lanterns during this time which are used to decorate homes. An important tradition on New Year's Eve is the Chu Xi or the annual reunion dinner. It includes duck, chicken and sweet delicacies. Some families back home also usher in the New Year with firecrackers," said Lyu. Tradition goes that the first day of the New Year is celebrated with the extended family, including grandparents. Men and women wear traditional dress — Qi Pao for ladies and Tang Zhuang for men — while visiting the grandparents. "Children and unmarried youngsters are usually excited about this as they are handed cash in red envelopes by elders in the family. Red is found everywhere during Chinese New Year and other holiday celebrations and family gatherings. The red envelope symbolizes good luck," explained said Lyu. 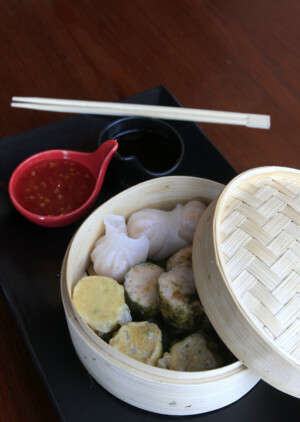 The last day of the 15-day celebration is called Yuan Xiao Jie or the sweet dumpling festival. It is marked by the lantern festival and lion and dragon dances. 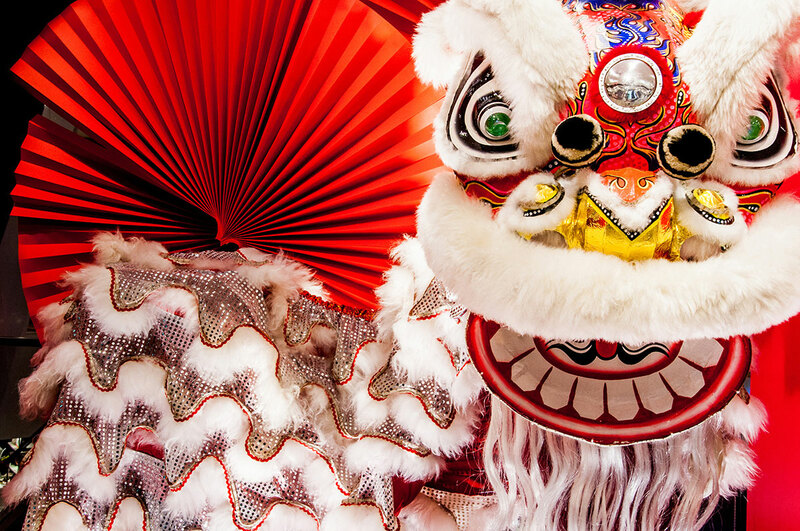 "The lion dance or Wushi is performed by two dancers in a lion costume. 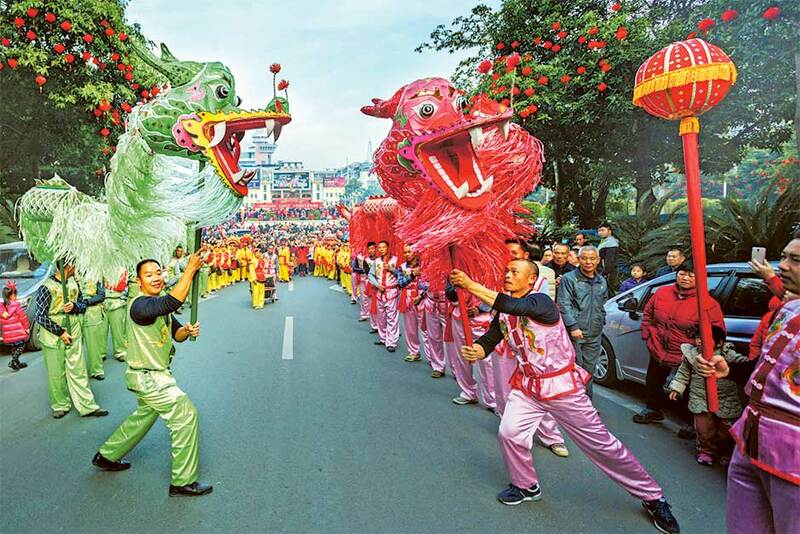 The dragon dance or Wulong is performed by a team of dancers carrying a dragon on poles. 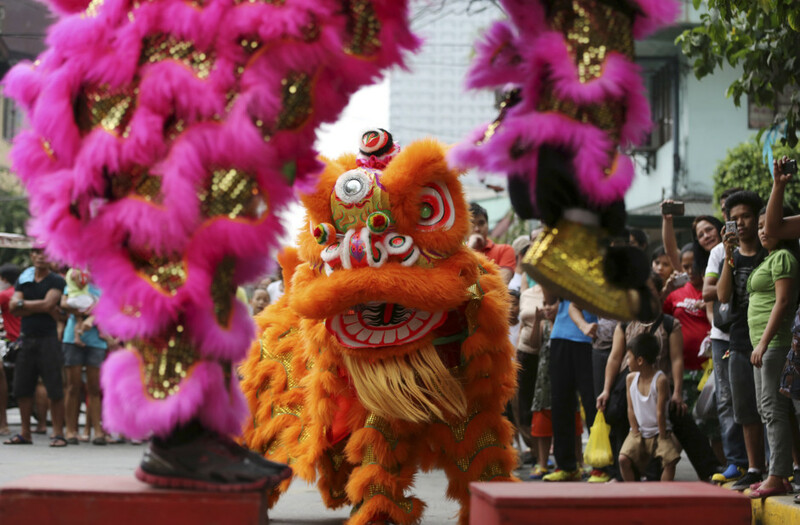 One dragon comprises up to 50 dancers," said Tiffany Feng. "The Dragon exudes power and the Chinese believe that those born in the Year of the Dragon are rarely unsuccessful in life," she added.